Boswell was right to admire oats. This grain offers plenty of soluble fiber, which forms a viscous gel that helps to lower cholesterol. They also are high in anti-oxidants. And when freshly milled, oats taste wonderful! We call hulled oats groats. To get groats to your table, manufacturers must mill, roll, or cut the groats into something which can be cooked and eaten. Many of us grew up on “mush” – oatmeal out of a box from the local supermarket. Super processing allowed mom to serve oatmeal in just 3 minutes – or even less with the instant product. However, once processed, groats can go rancid, sometimes losing quality very quickly. Rancidity involves deterioration of the natural oils in the grain. You experience this loss of quality and rancidity as a slightly off taste – sometimes described as “stale”. 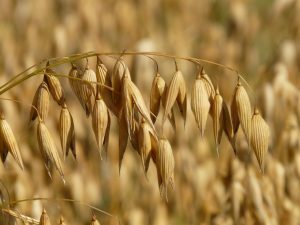 But you may not even notice that your oatmeal or other products taste old or stale or rancid unless you have sampled freshly rolled oats for yourself. At Zinman’s Food Shop we roll oat groats in-house. That way our customers get the healthiest and tastiest oat products possible. 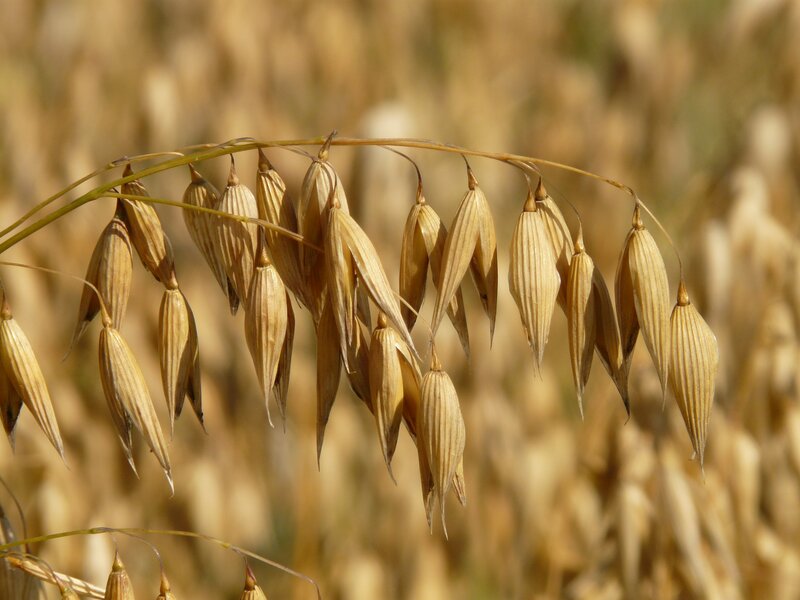 Once you taste freshly rolled oats in Zinman’s oatmeal, we think you will be able to taste the difference! This is truly not the same as the oatmeal you likely remember mother making – unless your mother had access to freshly milled grains. Please come in to Zinman’s Food Shop to try our fresh rolled oats in granola, oatmeal, and maple oat nut scones. IDEA: Call ahead to order a box of scones for a family gathering. We can also sell you fresh rolled oats and other freshly milled grains to cook at home. Look for fresh rolled product by the pound in the GrainWorks.